What's poppin'? Our Creative Movement class is!! 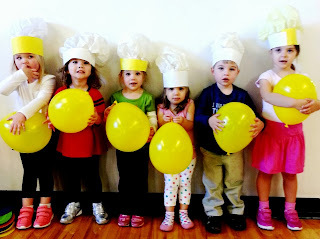 Our little ones turned into popcorn in our latest class! Parent and child benefit from this nurturing introduction to movement and dance. Musically inspired leaps, bobs, jumps and turns help to foster imagination while improving gross motor skills and body awareness. Enjoy sharing the joy of music and dance with your little one. Parent participation required. Registration includes child and parent. "Pop" in to our next Creative Movement class starting on 12/7!